Home / Parenting / When Is It Better To Pierce The Ears Of The Child? 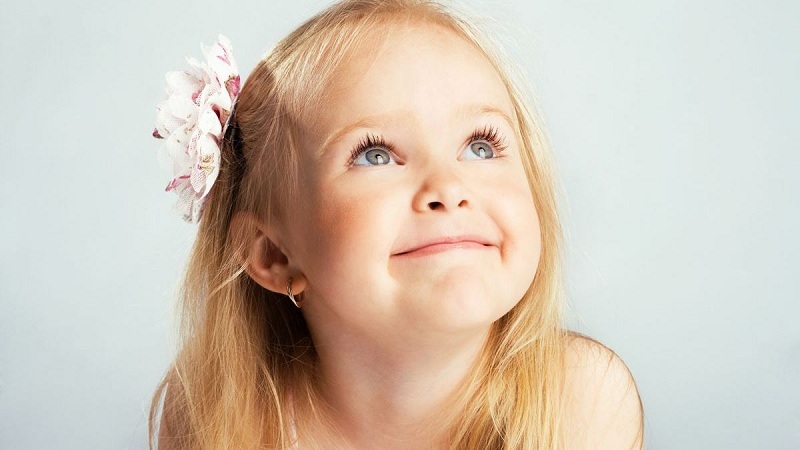 Many parents believe that small carnations shining in the child’s ears are very beautiful and fashionable, while others do not even allow the thought of ear piercing: the idea itself seems unreasonable to them. In any case, this is the personal choice of each family. 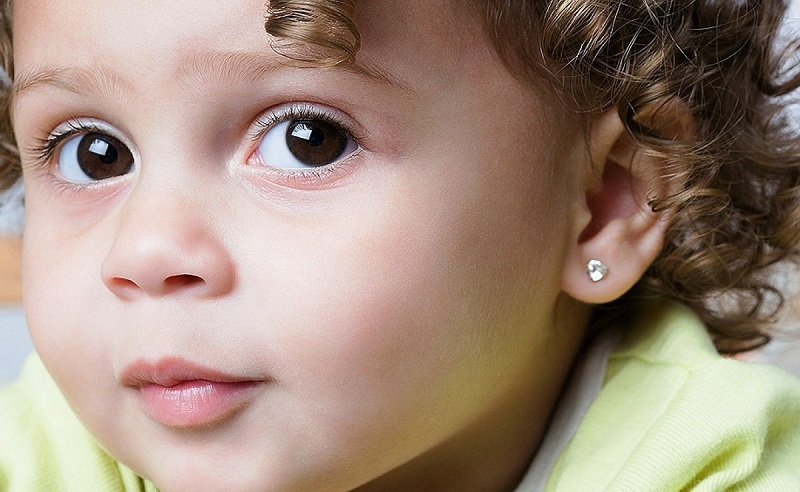 In our article, we will talk about how much better to pierce the ears of the child, whether this procedure is safe and which earrings should be preferred. At what age is it better to wear the first jewelry? 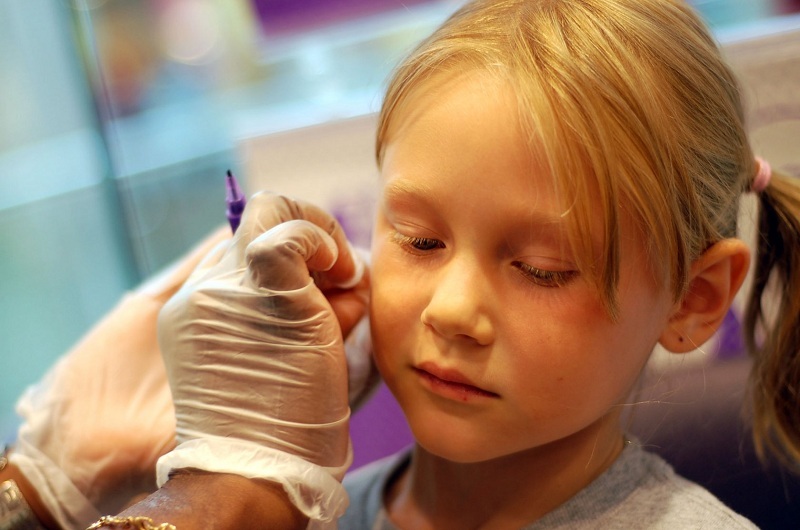 Most moms and dads want to pierce the ears of a child at an early age, believing there will be less pain and discomfort. The reasons for piercing the ears immediately after the birth of small crumbs are cultural or family traditions. In addition, according to some, a child with earrings in his ears will never be mistaken for a boy! Whatever the reason, if the girl has good health and calm nature, you can discuss with the doctor whether she can pierce her ears up to 3 years. Usually, this is still not recommended to do too early: there is a potential risk of infection since the baby’s immune system is still developing. 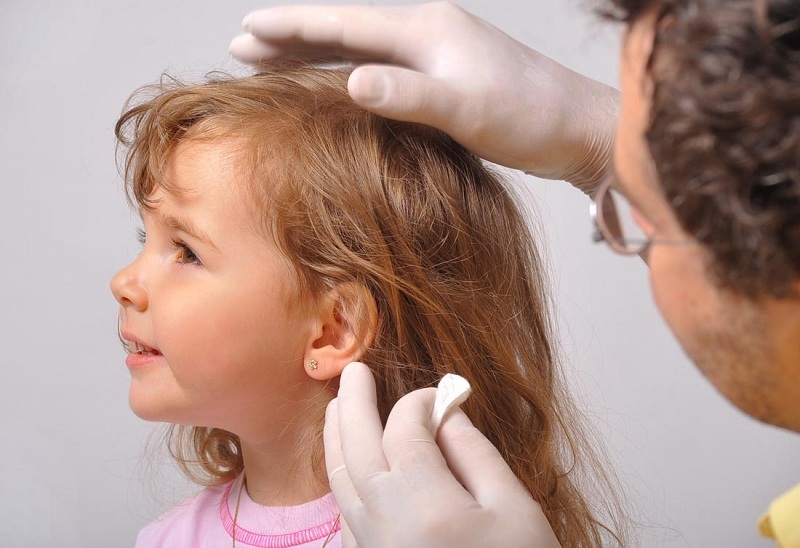 Doctors advise the best time to puncture the girl’s ears – age 6-7 years. Some experts even insist on reaching a young beauty of 11-12 years old, considering this age more conscious and suitable for making a decision. It is preferable to do a piercing of the ears in the office of a cosmetologist or a specialized piercing salon. So, we found out how many years it is best to pierce the ears of girls. But many mothers want to know what month to choose to go to a specialist. According to the observations of doctors, this is the end of August and the beginning of September, when it is no longer so hot, but also not very cool to put on a hat. Headgear is not advisable to wear during the healing of the earlobe. A qualified master always works in gloves. It identifies a spot on the earlobe and marks it with a marker, for accuracy. After rubbing the ear with an antiseptic, the procedure itself is carried out (disposable needles or a special gun), which takes just a couple of seconds. It is important that the child does not move during ear piercing; for this, the child’s head is fixed. You can distract the daughter of a favorite toy or the promise of delicacy. If the child is sick, and even more so if he has any chronic skin disease, especially in the area of the ears, he cannot pierce his ears. In addition, children with blood diseases, diabetes, allergies are not recommended to injure the soft tissues of the ear. May occur if the piercing equipment was not sterile, the buckle of the earring was too tight or dirty. If your baby’s earlobes are red and swollen, the baby’s temperature has risen, consult a doctor. Education keloid. A child’s body, like an adult, tends to heal itself after an ear injury, but sometimes significant cicatricial tissues, called keloids, are formed at the puncture site and require surgical intervention. Allergic reactions. It happens that a child has a hypersensitivity to the metal in the stud earring. Therefore, it is recommended to buy earrings made of gold, silver or surgical steel. Ornaments made from other metals and alloys, for example, from nickel, cobalt, often cause inflammation and swelling. Choking Hazard. Be sure to choose earrings that the child will not be able to remove and put into the mouth or ears. Rupture earlobe. If your girl has earrings with pendants, there is a chance that the baby will grab them and pull them, they will stick or stick to something while the child plays. The situation may lead to rupture of the earlobe. In the piercing salon or clinic clean and fully sterile equipment. Master is an expert in this field. You chose the right size of earrings, without hanging elements (rings, pendants), without sharp and protruding edges. You bought light gold, silverware or from medical steel. Clean the earlobes with a cotton swab with an antiseptic (hydrogen peroxide, chlorhexidine solution, and calendula tincture), alcohol-containing lotion, and antibiotic ointment 2-3 times a day. Carefully rotate the earrings in the ears to prevent them from sticking. It is not recommended to change or remove the studs for at least 6 weeks after the piercing. Do not allow your child to swim in open ponds, pool until all heals. When your daughter changes clothes or combs her hair, make sure she doesn’t hurt her ears that have just been pierced. You can put a bandage on your head or make a tail. In case you notice pus, swelling, severe redness and bleeding in the place where the earring is threaded, consult a doctor immediately, so this may be due to infection. 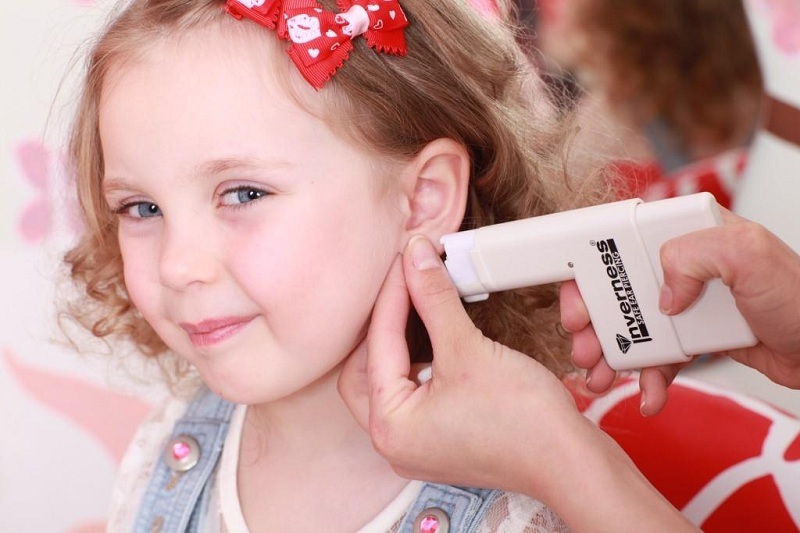 We hope that our article will help you to understand when to pierce the ears of a child, what kind of decoration will be suitable at first for a little daughter.